Have you ever wondered … Do systems engineers have rhythm? What kind of dance moves are project managers known for? 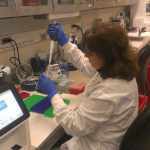 Would Systems & Procedures staff give us all they’ve got (and don’t hold it back)? 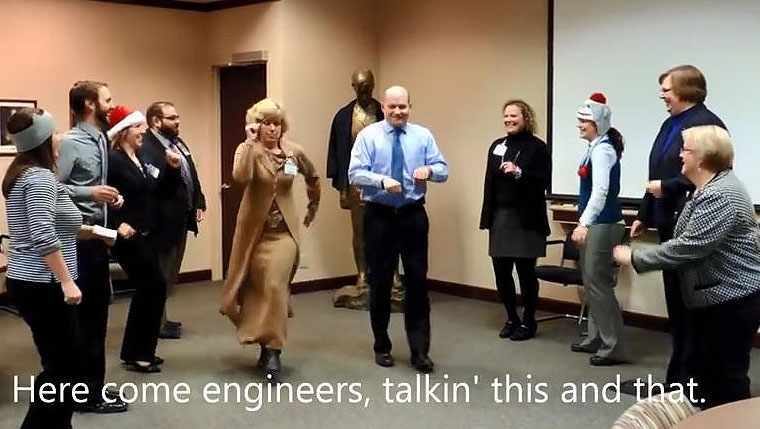 Well, the festive folks in the division fondly known as S&P have an answer for you, in the form of a workplace parody/dance video to the snappy tune of Pharrell’s “Happy.” And it might just make you grin and bust out a few moves of your own. The video is the work of the Systems & Procedures unit heads, with the somewhat unsuspecting help of their teams. Each of the past three years, the division’s leaders have put their heads together to create a video to have a little fun and thank staff for everything they do. This year, they combined some advice for stress-free living (cue the Amit Sood, M.D., cameo) with the happiest of pop tunes and created a new video that shakes things up a bit. The video (embedded below) was shared, as is their tradition, at a year-end division meeting. The making of “Happy S&P” was a bit of organized chaos and an exercise in stress relief. The S&P unit heads asked their teams to “move about” to shake off a little stress and get some workplace exercise. The movers and shakers weren’t fully aware of what was behind this little exercise, but the cameras and their leaders’ propensity for creating parody videos probably gave them a bit of a clue. We’re told 11 different work units participated in the video. They’re amazingly good sports. “One of our toughest challenges every year is finding a way to best recognize our staff and express our sincere appreciation for all they do,” says Nicole Blegen, one of the unit heads/dancers. “It has become somewhat an annual tradition for us to give them the gift of laughter through our own personal/public humiliation by way of a parody.” If you ask us, there’s more fun than humiliation happening here. The making of the video was all in-house. Carrie Macken was chief lyricist, Julie Yost gets credit for video editing and production, and vocal credits go to Luke Ramlow. The choreography, we’ll just say, was ad hoc. Come along if you feel like celebrating with the group. And share your comments and you can share this story with others via the In the Loop blog. Love this fun idea. My current favorite song. Hints of Minnesota shyness, but fantastic efforts to cut loose! It made me Happy!